As attendance declines at Christian churches all over America, many Satanic groups are experiencing tremendous growth. 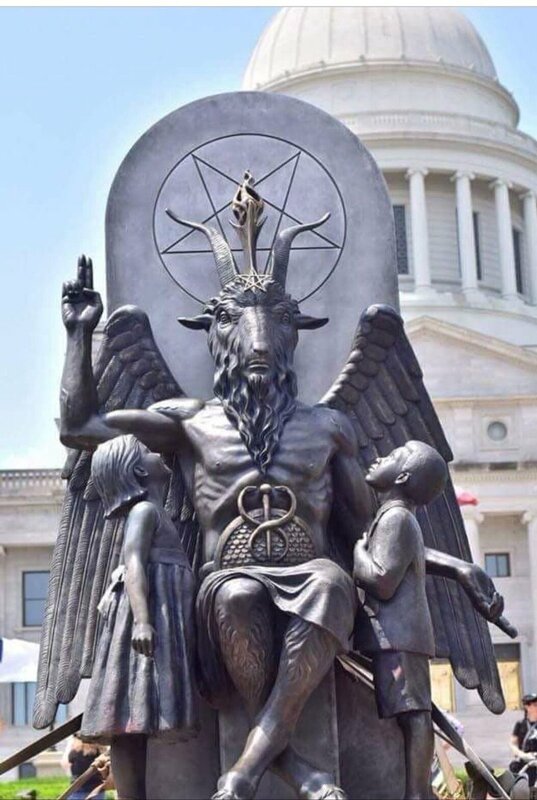 For some, embracing Satanism is the ultimate form of rebellion, for others, it is about making an anti-Trump political statement, and yet others claim that they are attracted by the very real power that they discover in Satanism. Every week, bizarre rituals are conducted in basements, meeting halls and public facilities all over the country, and most Americans have absolutely no idea what is going on. Of course, most mainstream news articles about Satanists attempt to portray them as ordinary people that have simply been “misunderstood”. And ultimately that is what the Satanists are trying to do for Satan – they are trying to get all the rest of us to view Satan or Lucifer as a “misunderstood” being that only has humanity’s best interests at heart. And since the values of Satanism line up more accurately with the values of modern society than Christian values do, Satanists are finding increasing success in bringing in new recruits. Instead, he found comfort in The Satanic Bible by Anton LaVey, whose motto is ‘self-preservation is the highest law’. He said: “I have ritualistically burned the Holy Bible, the Qu’ran, the Talmud, the Torah, Buddhist Sutra’s, different Hindu Sutra’s you name it, I’ve burned it out of blasphemy. Of course, most have joined various Satanic groups for spiritual reasons. Today there is a tremendous spiritual hunger in America, but Americans are also leaving traditional churches at a staggering pace. People are looking for authenticity, but they aren’t finding it in the traditional places, and so many are seeking out new options.